HBIDA has funds for scholarships to qualifying applicants for educational diagnostic testing. • Funds donated by friends of the late Nancy LaFevers Ambroze and Jerry Ambroze. • Scholarship amounts are coordinated by the scholarship committee and diagnosticians. • Funds are for educational testing for dyslexia, reading difficulties and learning disabilities. • Applicant must live in the Greater Houston area or in a regional group of The Houston Branch of IDA including College Station/Brian and the Golden Triangle areas. • Applicants must be children/students between the ages of 3 – 17 years of age and adults between the ages 18 - 35 years of age. Exceptions can be made. • Attached scholarship application must be completely filled out. • Upon receiving a scholarship, candidates must submit the latest 1040 tax return attached with the ID number (SS) blacked out. • Applicants must be tested by a qualified diagnostician who is a member of IDA and selected by the scholarship committee. • Identity of the scholarship recipient, testing results, and any submitted documents are confidential. Upon receiving this request we will assign a scholarship committee member who will contact you within the next few weeks to discuss the application process. The initial contact will be done via email and you are required to respond to it within 10 days. 4. Contact information : At what phone number can we contact you? 5. What is the best date/time to contact you? 6. What is your email? *This question is required. This question requires a valid email address. Once your form is submitted, you will receive an email by a scholarship committee member to schedule a phone interview. If we don't hear back from you within 10 days, we will be unable to process your scholarship. 12. Have you done any previous testing and or evaluations? 13. Please describe which testing and evaluations you have done, by home, and when? 14. 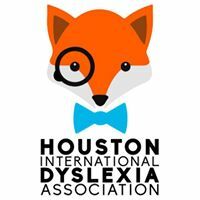 Any identified dyslexia/reading difficulties in the family? 15. If awarded a current tax form must be provided. Do you have a current tax form (1040)? 16. What is your current household income? 17. I declare that the information on this form to the best of my knowledge and belief is true, correct, and complete. 18. Please give us a little bit of background (few sentences) on why the scholarship is needed. 20. Are you currently a member of the HBIDA? 21. If the scholarship is granted, you will need to meet the diagnostician several times. Which of the following will be your primary means of transportation? 22. The HBIDA Scholarship Committee will make the decision on which applicants receive the scholarship based on available funding. These decisions take place four times a year. To be included in approval process the initial scholarship request form (this form) needs to be submitted at least 30 days prior to these decision dates. For example: To be included in the June 15th decision point you must submit your initial application (this form) by May 15th. Please confirmed that you understand this process. Yes, I read the above note and I understand it.